Our region’s transportation network is tied together by nearly 900 miles of local streets and roads, which include bridges, sidewalks, curbs and gutters, wheelchair ramps, bike paths, traffic signals and storm drains. These roadways provide access to our homes, hospitals, parks, beaches, stores, and schools. From the moment we open our front door and drive to work, bike to school, walk to the store, or hop on the bus, we are dependent upon safe, reliable local streets and roads. Use the Hazard Report to reports obstacles or hazards that may inhibit bike or pedestrian travel. 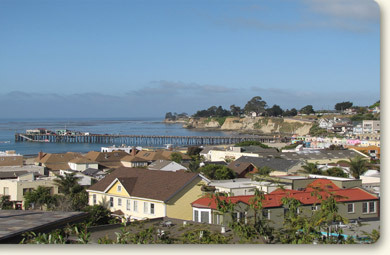 A number of California State Routes commonly referred to as highways run through Santa Cruz County. 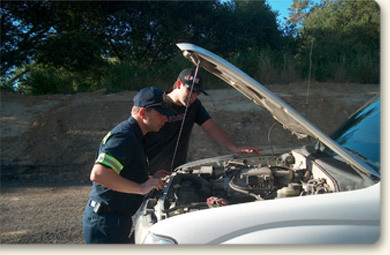 Santa Cruz County residents and visitors are served by Highways: 1, 9, 17, 129, 152 and 236. While the State of California owns, maintains and operates these highways, a significant level of local participation in both funding and planning for these facilities is required. These local highway-related activities are conducted by the RTC. To report maintenance or other issues on county roads, contact County Public Works or submit a request using Santa Cruz County’s free mobile app Citizen Connect.